TWC is proud to announce the release of our Curtain Track collection. 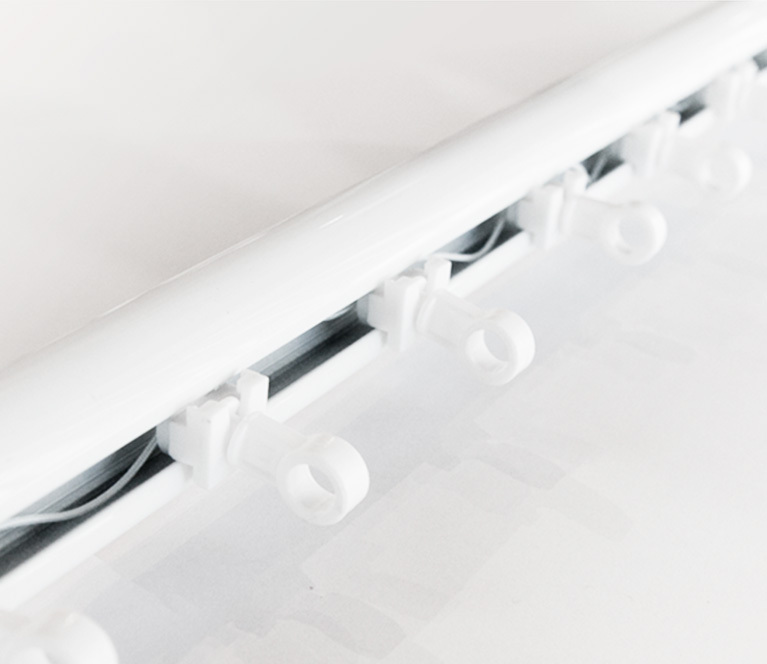 Our comprehensive hardware catalogue includes curtain tracks, carriers, brackets, pulleys and wands – available in white, silver anodised and black colours. We also offer Somfy's Glydea™ motorisation solutions for the more prestigious projects. Motorised curtains are increasingly becoming the standard requirement for high end homes, luxury apartments, high quality hotels, meeting and conference venues. Our sales team and customer service team can provide you with the expertise and advice to ensure you have the optimal curtain track solution. For physical copies of the collection folder and pricelist, please email parts@totalwindowconcepts.com.au or sydneyparts@totalwindowconcepts.com.au if you are based in NSW, ACT or QLD.